Home › Electronics › Apc Ups Battery Back Up (Br1300G) - Back-Ups Pro 1300Va 10-Outlet Uninterrupt..
Apc Ups Battery Back Up (Br1300G) - Back-Ups Pro 1300Va 10-Outlet Uninterrupt.. 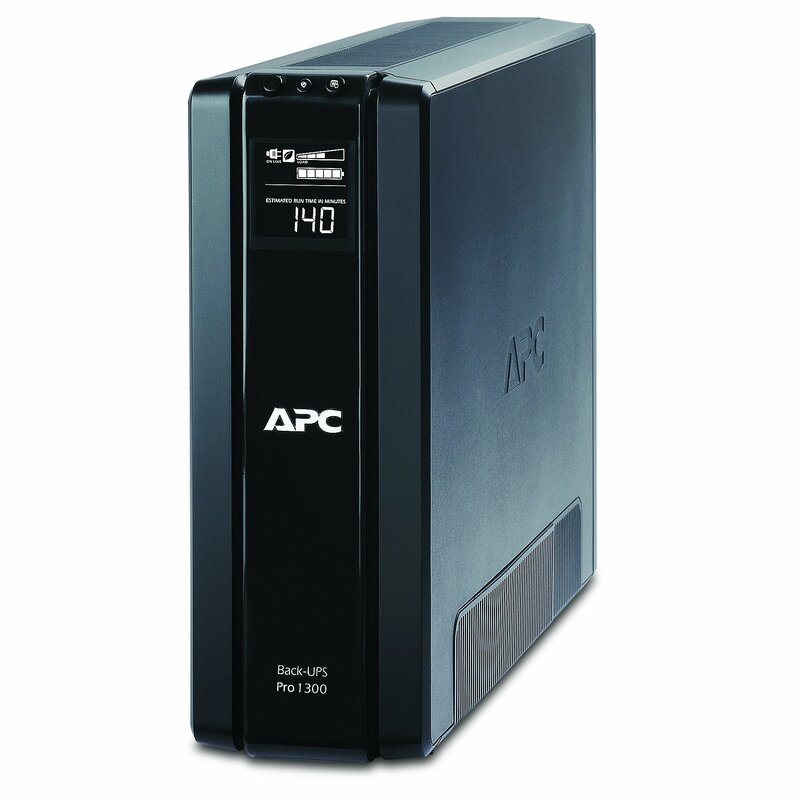 The APC Back-UPS BR1300G offers guaranteed battery backup and surge protection for high performance computer systems, networks, external storage devices, game consoles and other electronics. The UPS Backup includes premium features such as Automatic Voltage Regulation (AVR), an LCD display, energy saving functionality, and PowerChute management software.